IL&FS default: Did rating agencies' failure to connect dots lead to crisis? Moody's Investors Service Tuesday said larger emerging markets like India are expected to continue to tighten their monetary policies next year. "India, and Indonesia are likely to grow near trend despite external and domestic challenges... We expect larger emerging markets, like India, Indonesia, Brazil, Turkey and Argentina, to continue monetary tightening in 2019," Moody's said in a report. In its Global Macro Outlook for 2018-19 released in August, the US-based agency had said that it expects Indian economy to grow by around 7.5 per cent in 2018 and 2019 as it is largely resilient to external pressures like those from higher oil prices. Indian economy grew by 7.7 per cent in the January-March quarter, and touched a two-year high of 8.2 per cent in the April-June quarter. 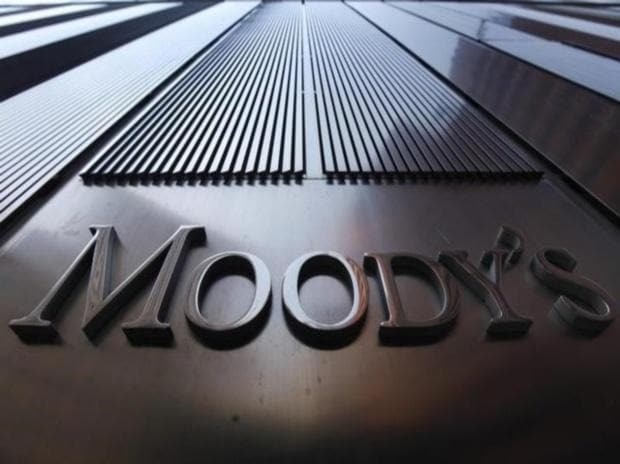 Moody's said India could also face political risks, as also uncertainty around economic and fiscal reforms, on account of upcoming general elections next year. The report further noted that the outlook for global sovereign creditworthiness in 2019 is "stable", balancing the slowing growth momentum against rising uncertainty over longer-term economic and financial stability. The agency expects G-20 growth to peak in 2018 at 3.3 per cent before slowing to 2.9 per cent in 2019. For advanced economies in the G-20, Moody's believes growth will fall to 1.9 per cent in 2019 from 2.3 per cent in 2018, a pattern that is mirrored in key economies, including the US and Germany. Emerging markets in G-20 would see a slower growth at around 4.6 per cent in 2019 than 5 per cent in 2018. "Our stable outlook for sovereign ratings in 2019 balances the benefits of continued global growth against emerging domestic and geopolitical risks," Moody's Managing Director -- Global Sovereign Risk Alastair Wilson, said. Despite the stable outlook overall, we are more mindful than in previous years of the potential for unforeseen shocks to disrupt economic and financial stability over the next 12-18 months, Wilson added. Slowing growth means that the window for global sovereigns to address longstanding credit challenges - including high levels of public and private debt, as well as longer-term trends related to ageing and inequality - is closing. High debt, falling growth and rising rates expose sovereigns to the risk of shocks that undermine debt affordability and sustainability. A number of emerging and frontier markets are particularly exposed to tightening global financial conditions and rising US trade protectionism, Moody's said. As in previous years, the potential for disruptive domestic or geopolitical events poses the greatest tail risk. "Geopolitical risks could have implications beyond a particular country's economic and fiscal fundamentals and affect cross-border capital flows and thus funding conditions for many sovereigns," Moody's said.